Thinking about buying an iPhone 5 from a third party like Craigslist or eBay? Make sure you follow these simple steps so you do not get scammed. Never give people money upfront. Obviously if your purchasing the device with eBay you will have to pay for it before they ship. Make sure you use Paypal and that the transaction is covered so you and the seller are both protected. If you are going to buy from someone off of Craigslist, don’t give anyone any money until the iPhone is physically handed to you. You cannot trust someone who says they will order it and have it sent to your house. They can easily cancel or re-route the shipping. If you are buying a Verizon or Sprint model, make sure to meet at a Verizon or Sprint store and activate the phone there before they leave. If not, you could end up spending $700+ and getting a phone that someone reports lost or stolen minutes after you buy it and now you’ve got a very expensive iPod. Likewise, even with AT&T, meet at an AT&T store and get your new micro or nano SIM on the spot and create some kind of proof of purchase. The person selling could easily sell you the phone and then call Apple Care and report it lost/stolen and whereas with Verizon and Sprint, the ESN is instantaneously blocked, with AT&T it can take up to a couple of weeks, but you would still be stuck with a phone that was scammed with insurance fraud. Get the person’s name, address, take their pictures, etc etc. If you can prove to AT&T that you bought it legitimately, they will unblock it and charge the retail price to the account owner. That will teach them a lesson. Watch out for Chinese Knock Off Models. Know what you are purchasing before you pay top dollar. DO NOT meet and night! You should always be save and meet in public places during the day. We have all heard the stories of people getting robbed at gunpoint. Be careful! Also don’t fall for someone who shows up and says “Oh I forgot the phone at home” and asks you for a ride back to their place. If that happens, RUN and call the police! Who offers to sell a phone and then forgets it? Always deal in cash. It is safe for both the buyer and seller. Do a thorough scan of the iPhone before you buy! If it’s “sealed” check the seals to make sure they haven’t been tampered with. Hand the cash to the person and ask them to watch you open the box. If they get nervous, then you know you’ve found a scammer and you should call the police. Once you have purchased the iPhone, if you realize you don’t like it or find out that you got scammed, you can’t call the police and ask for legal action. The only recourse you would have is a small claims court case, but that’s only if you have a way to find the person. Don’t call a person threatening to call the police. It’s better to take a picture of their license plate and of the person and try to get their address and send them certified mail. Do your research before you buy! Make sure the iPhone your purchasing works with your current carrier. You may have to purchase an Unlocked version. Check that it is unlocked before you hand over the money, or you may have to pay between $20-$50 to get an IMEI unlock so that you can use the iPhone on your carrier. Please also be aware that Sprint, Verizon, and AT&T models are different. You need to know if your service is GSM or CDMA. Realize that Craigslist is a “buyer beware” buying environment and the responsibility is on the buyer to be educated. Your best defense when buying on Craigslist is to be educated. Feel free to leave a message if you have any other questions or a story to share. 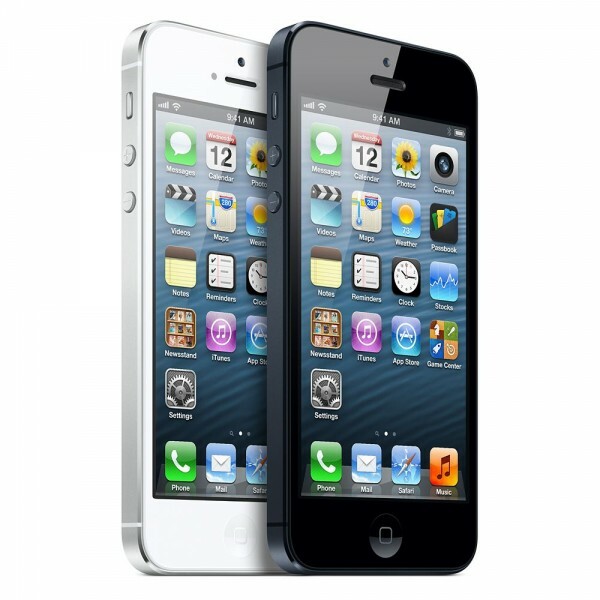 Hi I have recently purchased a iPhone 5 from a seller on eBay. I paid via PayPal. I am now a little concerned that the seller could claim he has lost the phone or claim it to be stolen. Where do I stand if this happens? If you could help. Thank you. Ask the seller for a copy of the original receipt. I am purchasing an Iphone from ebay classified ads and they are selling at $450 seems very cheap even for ebay… I’ve been taking many precautions, but paypal is going to be my only defense if something goes wrong… spoke to paypal and the seller has a premier account. I’m searching to see if there are any scams going around. I bought an iphone5 on craiglist the person told me it has good ESN and she lie ??? ?i tried to called her but she even change her number . What can i do now ? Is theres anything i can do with the phone ? Help please ! Can AT&T lock the iPhone back after you bought it from someone and unlocked it yourself? Because Someone sell the unlocked iPhone and report lost later.